Maybe you’re tired of burning your feet on hot pavers, or you keep slipping and falling when walking around your pool. 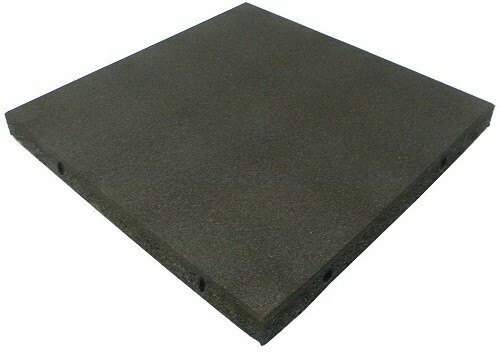 The outdoor rubber mats provide an alternative to slippery and moldy outdoor surfaces, and can quickly and easily replace the stones or tiles around the patio, pool deck, and play areas. The benefits of using the outdoor rubber mats are many, from being an affordable alternative that comes in different thicknesses and colors to match your yard. 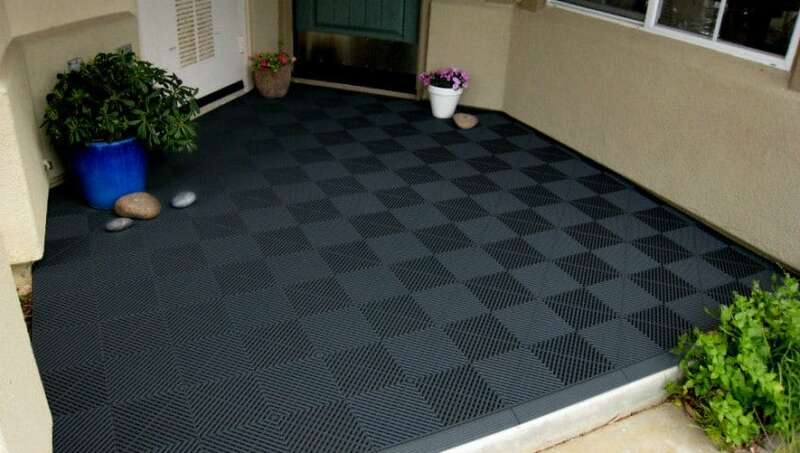 The surface of the outdoor rubber mats is slip resistant and cooler to the touch with your bare feet. What are Outdoor Rubber Mats? The outdoor rubber mats come in square tiles or huge rolls, and can cover the existent ground in the yard and make the location more suitable for walk or entertain your guests. Since the mats come in a variety of colors, you can choose some for the pool area, the patio, the deck, and even around the playground. The rubber outdoor mats offer a safer walking environment because they are non-slip, and they are cool to the touch even in the hottest of summer days. 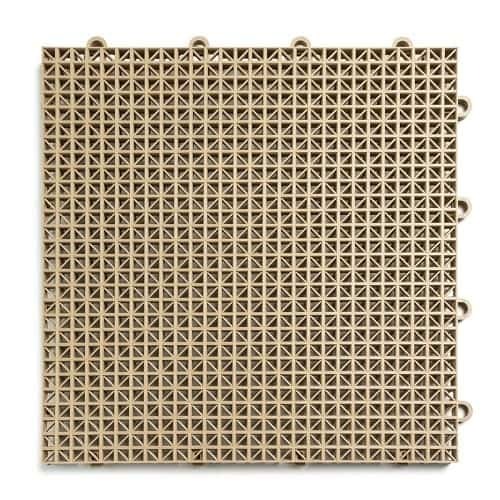 Whether you are rolling out one large piece around the patio or puzzling some pieces together around a swing-set, these durable outdoor mats will provide years of enjoyment. To see the true benefits of the outdoor rubber mats, we simply have to compare them to their alternatives. In most yards around the country, homeowners will leave the soil or rocks under the play-set, or simply enclose the area with mulch or wood chips. The outdoor rubber mats offer a softer cushion in case the child falls, there are no splinters in the feet like with wood chips, and the entire surface is slip resistant. Many use the playground mats in areas the children will be playing outside. One of the troubles with traditional decking is that it is susceptible to the weather. During years of hot summer days, the deck surface can peel and chip and need several treatments of deck sealer. When it rains, the surface of the deck can be very slippery, and it can also accumulate mold growth in certain areas. The outdoor rubber mats will stay slip-resistant and won’t chip or fade from the sun. Patio pavers are costly, and if you stain one or chip one and don’t have replacements handy, it can look unsightly quickly. The pavers can get very slippery from mold growth, and easily become stained from dirt and soil in the are, requiring pressure washing to clean. The rubber outdoor mats come in rolls or in tiles, meaning you can piece together the patio and replace sections as needed with ease. Maybe you have some gymnasts in the family or little ones working their way to be on the cheer-leading squad. These amazing cheer mats could be set up anywhere so the kids have a safe place to practice. They can be assembled and taken down quickly, or left out in the elements without concern of damage. Installing the rubber outdoor mats is a breeze too. Depending on how big the location, you may want to go with a single roll or mat style to cover the area. If you prefer to get the smaller sections that you piece together, you should select the ones with the rugged Grip-Loc tiles so you are assured they will stay together no matter how much abuse they take. If you are working in an area and want a tight fit, you can use a sharp razor to trim the padding from behind so it fits perfectly in any location. With so many choices of rubber outdoor mats, these are five that should give you a good idea of all the different colors, styles, and types of matting available for your outdoor needs and allow you to stay within a budget. Perhaps you want the look of grass without the high maintenance involved. When it comes to fake grass that is pleasant to look at and versatile, these outdoor rubber mats can’t be beaten. Interlocking pieces fit perfectly together and give your yard a fresh new look. As your needs grow, just keep adding pieces. 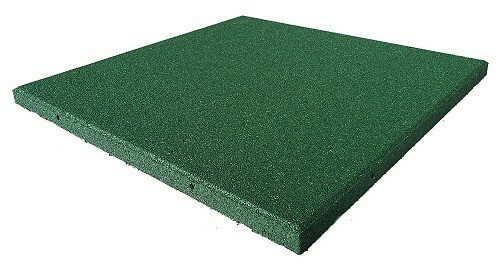 These outdoor rubber tiles come in a variety of colors and make amazing cheer mats or playground mats. Ideal for areas where the kids need to practice or have fun safely. Rubber tiles come clean with soap and water. 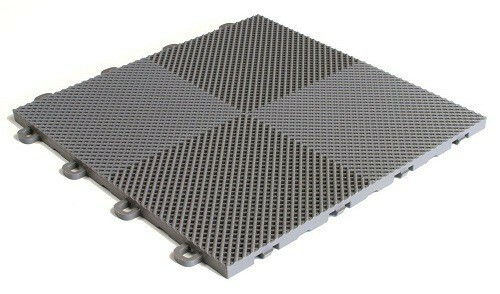 These are the outdoor rubber mats you want when you are serious about safety. Able to withstand severe falls, will make even the most active play areas safe and comfortable. No maintenance, no cleaning, provides years of enjoyment in all types of weather. 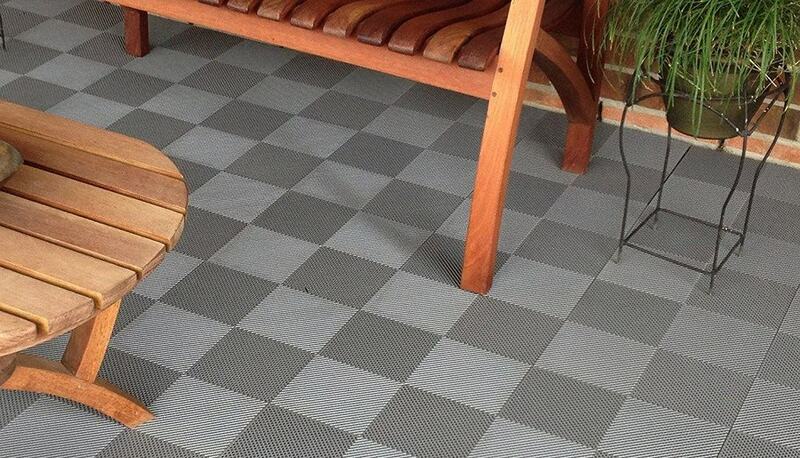 These rubber outdoor mats are a great alternative to an aging deck or worn patio. Provides instant cushioning and designed to quickly drain water from the surface to keep slip-resistant. Interlocking mats are perfect for the garden path, walkway, rooftop sitting area, and gazebos. These interlocking outdoor rubber tiles come in three colors and can withstand years of abuse. Easily cleaned with a garden hose, provides soft underfoot and balance protection.